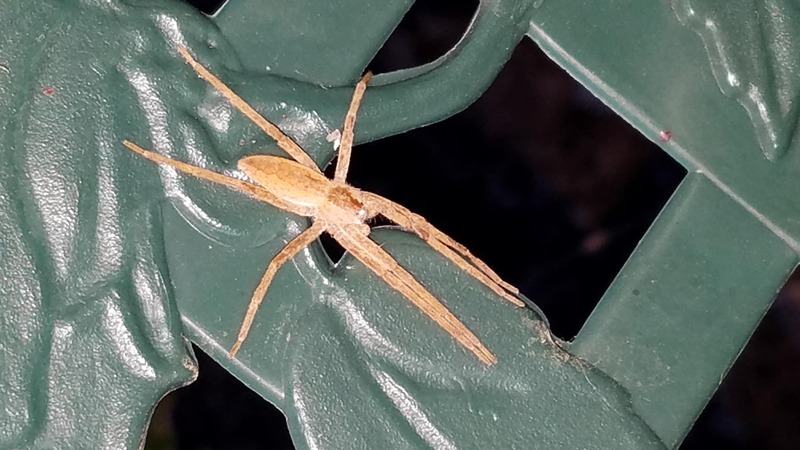 Found this one outside on the back of a plastic chair. Right next to our house. The chairs had been with other patio stuff under a tarp all winter, and I just uncovered a couple days ago. Only evasion he attempted was to crawl to other side of chair. Hi, one of the slender crab spiders I believe, quite harmless.